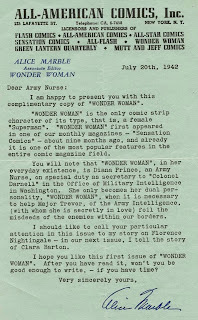 In 1941, after a very successful career in tennis, Alice Marble was hired to be the associate editor on Wonder Woman. It was a big win for publisher Max Gaines, and he touted Marble's association with the book pretty heavily. 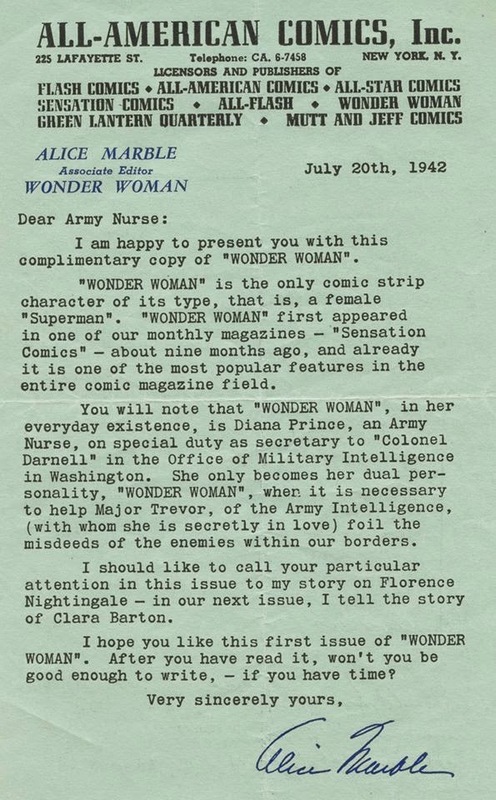 Marble was even given a regular four-page feature to highlight various "wonder women of history." Brian Cronin wrote up a good summary of Marble and her short career in comics. 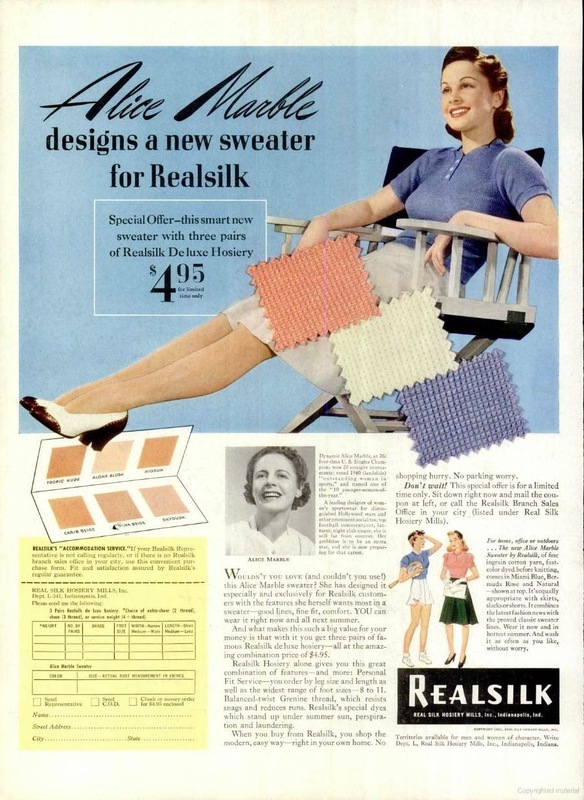 I was browsing around for some basic background information on Marble, and came across several endorsements she made in the late 1930s and early 1940s, when her popularity was at it's peak. Here's a few ads I happened across in Life magazine... They're really reaching with that tooth powder ad, in my opinion. And the other two aren't exactly pitch perfect either. Which leads me to think that Marble understood the tenuous nature of fame and celebrity, and was taking full advantage of her notoriety to lend her name to just about anyone who was willing to pay her. I mean, she didn't even pose for special publicity shots for any of these -- those are basically just stock photos that are dropped in. In seeing these, then, I was skeptical of her actual involvement in Wonder Woman. Gaines did get a photo of her reading an issue that he used in his various announcements about her appointment, but I'm left wondering how much she work she actually did. She's creditted with writing those "wonder women of history" segments, but was it any more than her suggesting a individual to focus on? Or just the concept in the first place? What Cronin notes, though, which I don't often see repeated, is that Marble actually followed Gaines lead a bit in getting celebrity endorsements. Cronin specifically pulls out the examples of Gene Tunney and Jack Dempsey, where we have proof that Gaines sent them copies of the book and they provided some pull quotes for him. Marble followed up on that idea, and sent copies to prominent female figures of the day. Not just form letters, either, as we have copies of different letters. Even those written days apart, while they share some of the same language, are tailored for the individual recipients... 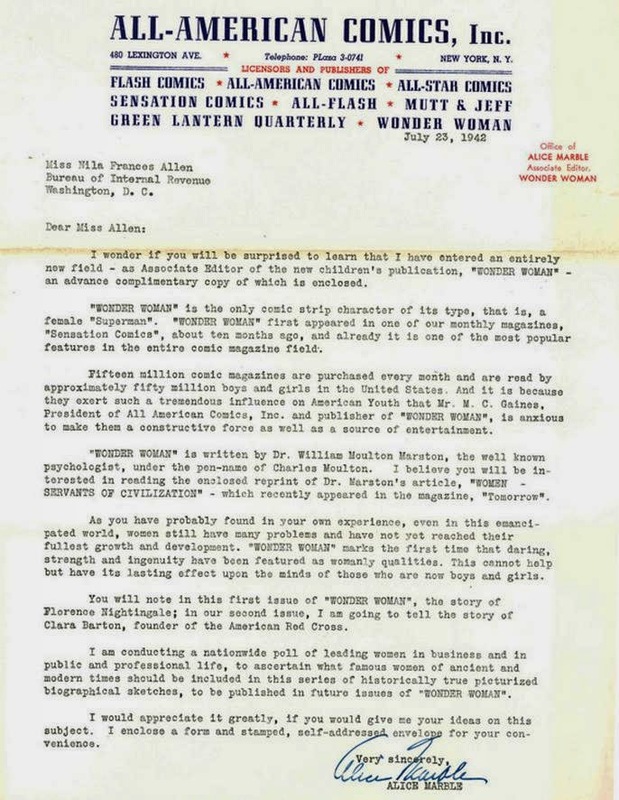 While it's still possible that these letters were written by someone else and simply signed by Marble, there's certainly a decidedly more active involvement here than in her shilling for Logines watches. 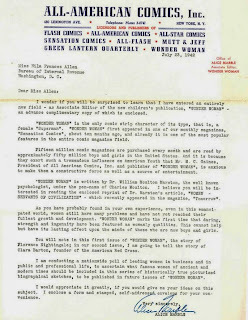 Despite her short tenure at All-American Comics and the seeming ongoing-celebrity-endorsement-status of her position, it would seem she took the job seriously and made a concerted effort at it. One can't help but wonder if she would have stayed with it and what she might've done if she hadn't left the medium after her miscarriage and death of her husband.